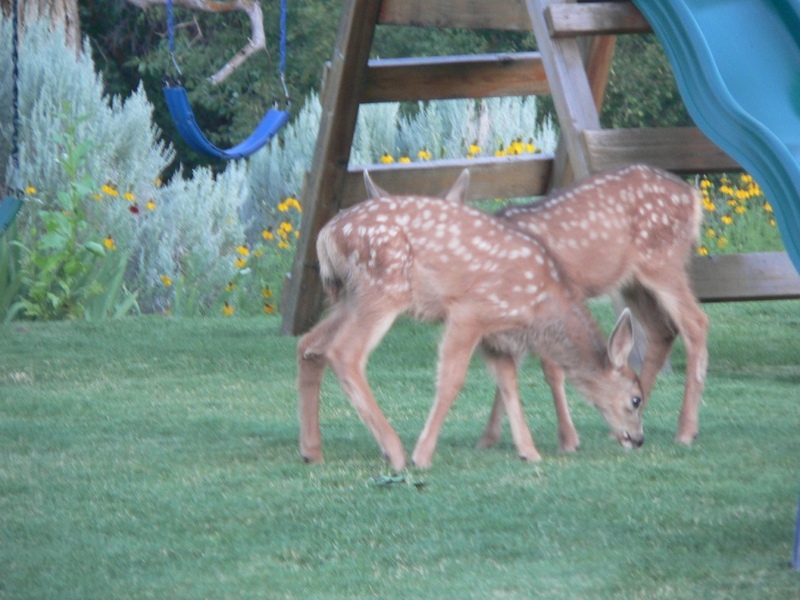 There are many fun activities to do in Marysvale Utah near the Paiute Trail. 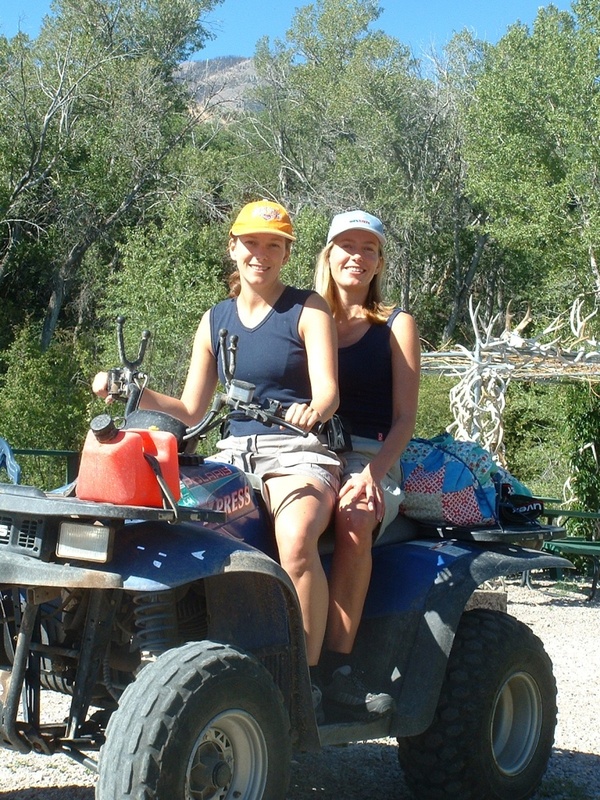 Fun activities include ATV trail riding, biking, hiking, fishing, rafting, river tubing, rappeling, horse back riding, wild animal viewing, bird watching, photography, wildflowers, Native American historical sites, ghost towns, gold panning, Bryce Canyon, Zion National Park, Grand Canyon National Park, Shakespearean Festival, GPS exploring, water skiing, swimming and rock hounding. The world-famous Paiute ATV Trail, and Fremont Trail, Great American Trail and other trails can be accessed directly from the retreat without trailering your machines (The Great American trail system and others are overnighters). There are also plenty of remote areas that can be accessed by high clearance automobiles. You can rent ATVs and UTVs nearby. Marysvale is near the National Forests and high Tushar Mountains which offer great hiking, biking, fishing, mountaineering, photography, sight-seeing, animal watching, bird-watching, and wildflower opportunities. 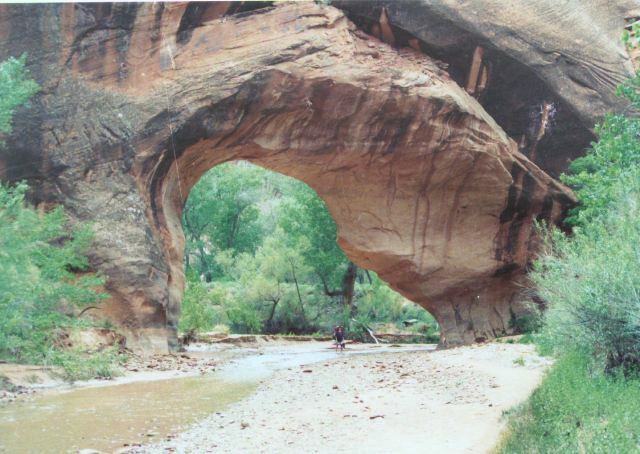 The Escalante loop can be accessed from the cabin as a day trip for great canyoneering and sightseeing. Marysvale is near more National Parks in this part of Utah than any place else in the world. There are also many little-known areas that probably should be national parks. Zion’s Park, Bryce Canyon, Cedar Breaks, Capitol Reef, Lake Powell, and Grand Canyon are the best known areas. When the ladies lose enthusiasm for ATV riding, they can go shopping. Ana also has her art and jewelry in several gifts stores in the area. There is are three great gift stores in Marysvale: Piute Crafts, The Trading Post, and a great little affordable antique store called the Wooden Nickel. There are many historic sites nearby. The Fremont and Anasazi culture museums with their rock art are interesting day trips from the retreat. There is also many historic mining sites and ghost towns relating to the Spanish Trail and Gold Rush days of the Marysvale area. There are gold panning opportunities in some of these areas for those with the desire and know-how. 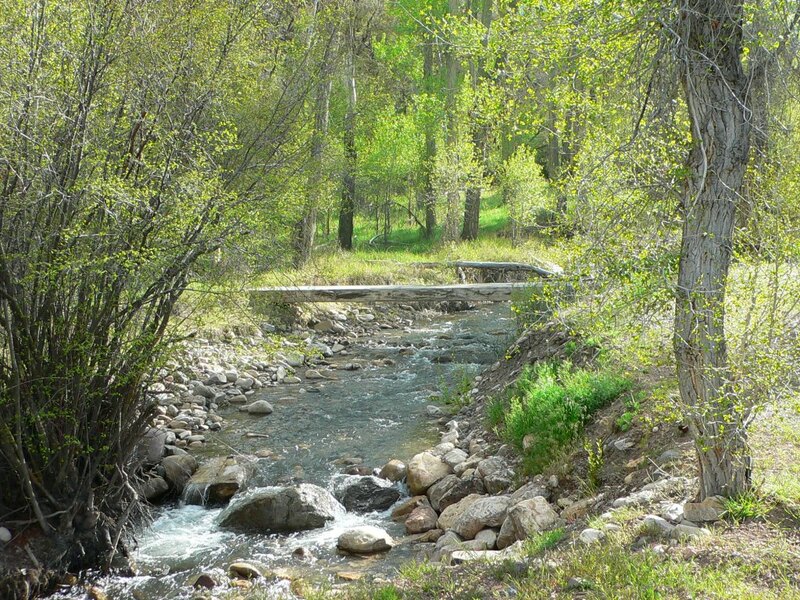 There are fishing opportunities nearby with beautiful stream pools nearby that hold great native Cutthroat, Brown, and Rainbow Trout. We are sure you will be successful if you fish where we tell you and use the methods we recommend. 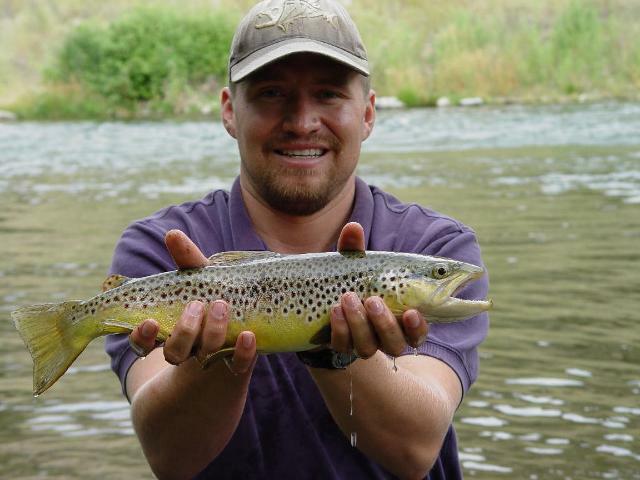 Also visit other fishing lakes, stream, or rivers of the region including Fish Lake, Manning Meadow Lake, Barney, Paiute Lake, Panguitch Lake, Sevier River, Antimony Creek, Fremont River, Otter Creek reservoir, Beaver Mountain Lakes, Lake Powell behind the famous Glen Canyon Dam. There is a variety of trout and some bass in these waters. The cabin is near a great paved bicycle trail in scenic Marysvale Canyon that follows the Sevier River near Big Rock Candy Mountain. Mountain bikes can also be used to access many mountain trails. Raft the whitewater on the Sevier River through beautiful Marysvale Canyon with experienced guides that know how to handle the rafts and the rapids. More calm tubing of the slower waters of the Sevier river is available for the less adventurous as well. Visit Native American historical sites including the Fremont Indian Museum, Boulder Anasazi Museum, Edge of the Cedars Museum plus other little known sites. Visit Mormon and Americana historical sites including Cove Fort, St. George and Manti temples, Mountain Meadows Massacre site, Jacob Hamblin’s home, Lonely Dell, Lee’s Ferry, polygamous Colorado City, historic pioneer homes in Panquitch plus many more possibilities. 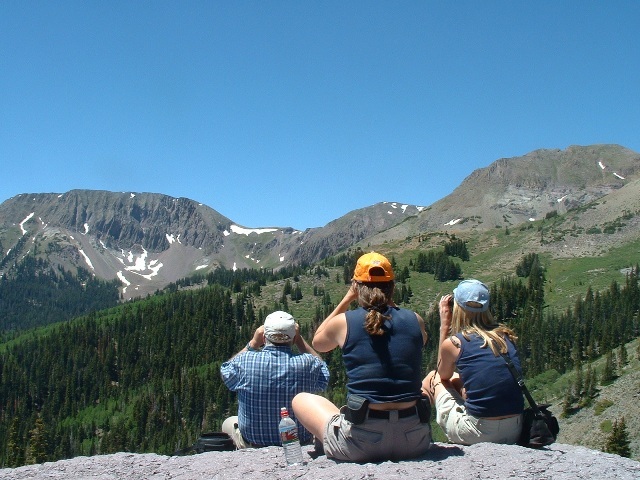 Visit prime bird-watching sites including Fish Lake, Antimony Creek area, Tushar alpine mountain area, Canyonlands high desert areas, lower Mojave desert areas, Zion’s Park, the waterfowl areas near Delta, plus many more. There are some 350 bird species in Utah. Ride Horses through the Tushar Mountains or Bryce Canyon. Snowshoe or cross-country ski the Bryce Canyon or the high Tushar Mountains near your winter cabin. Also see winter ATVing videos near Marysvale. Visit Big Rock Candy Mountain site which is famous for its beautiful mountain. This site was made famous by the country blue-grass song that bears its name. Visit beautiful mountain or desert wildflowers in bloom during the summer months as well as the oldest living organisms on the planet; the gnarled Bristlecone pines. 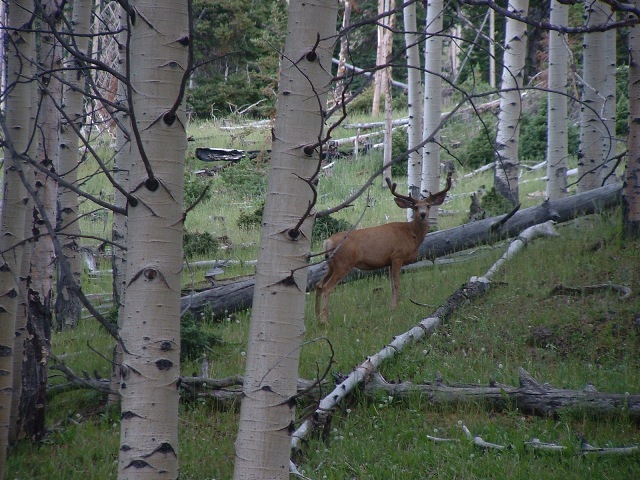 Visit the animal watching areas for photographic opportunities for rocky mountain goats, trophy elk and deer, bear, mountain lions, desert bighorns, etc. Visit the rodeos, fiddlers contests, parades, and horse races in the small towns of southern and central Utah. Bring your own equipment and try rappelling off from Bullion Canyon Falls. See our video page for this. Visit legal gem and fossil collecting sites to collect apache teardrops, petrified wood, snowflake obsidian, banded opal, crystalline geodes, or famous Utah red agate . Also visit some excellent rock and gem stores that carry unique rock and gem souvenirs of the southwest. Day trip out to the historic sites where many famous western classic movies were filmed. We usually have exceptionally clear and dark nights at the cabin for astronomy viewing. See the geologically awesome Tushar caldera that blew up thousands of years ago and the ancient lake it created high in the Tushar mountains. Visit the world-famous Shakespearean Festival in nearby Cedar City . Find many points of interest with your GPS using one of our free GPS information maps. Participate in the Marysvale UTV jamboree in mid-August or the Richfield Rocky Mountain ATV jamboree in mid-September. 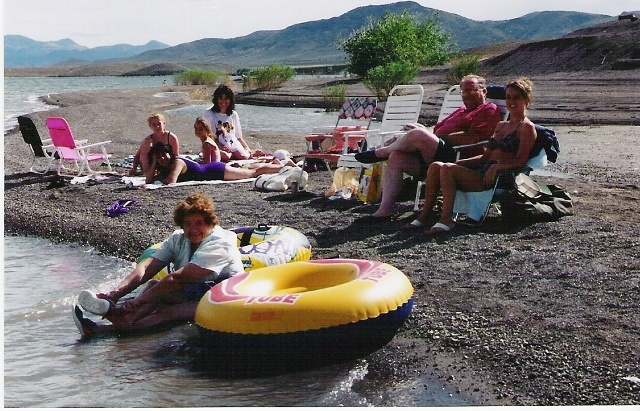 Have a beach party at Piute Reservoir complete with swimming, windsurfing, sailboating or skiing. Just sit by the cool gurgling Bullion Creek and read while the native birds sing. Play horseshoes with your friends. Relax in the shady playground while the kids play in the sandbox or swing/slide apparatus. Tube the slower parts of the Sevier River for a relaxing ride. Summer mountain biking using the Brian Head Ski resort lift is just a daytrip away. In winter, Brian Head Ski Resort is a day trip away. 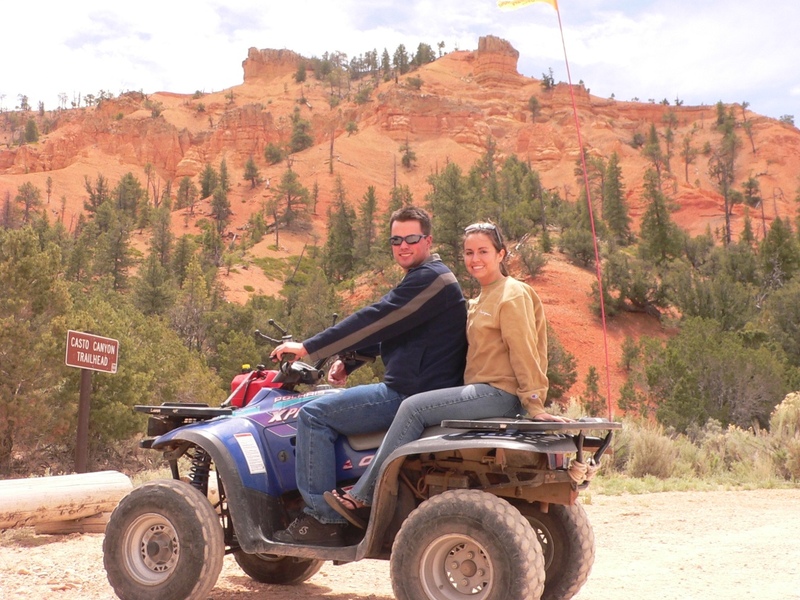 Ask us about your specific interests and the many opportunities and mysteries available to explore in southern Utah. Trophy buck on Barney lake loop. 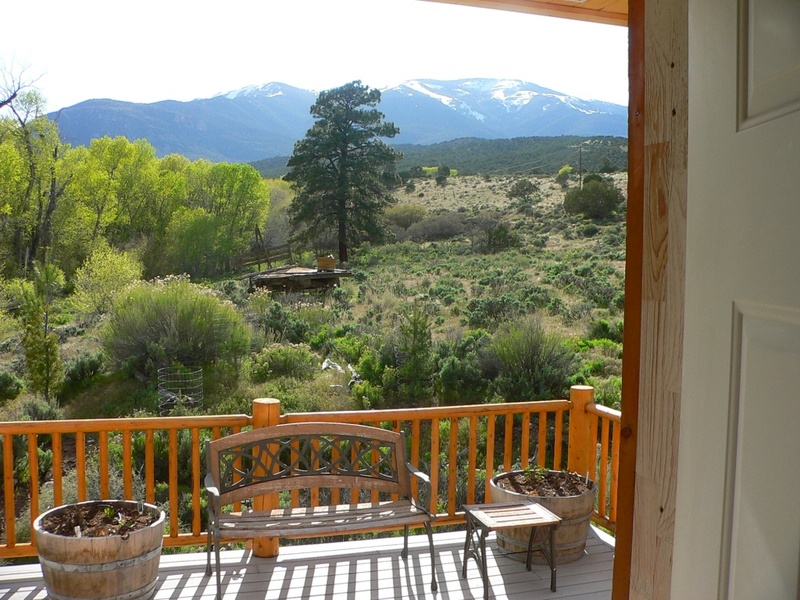 -> Many locations around the valley have poor or no cell phone reception, however from our elevated mountain view, most cell phones get 2 or 3 bars from our cabin deck . Ana playing horseshoes with guests—they were having so much fun that they played until after dark.